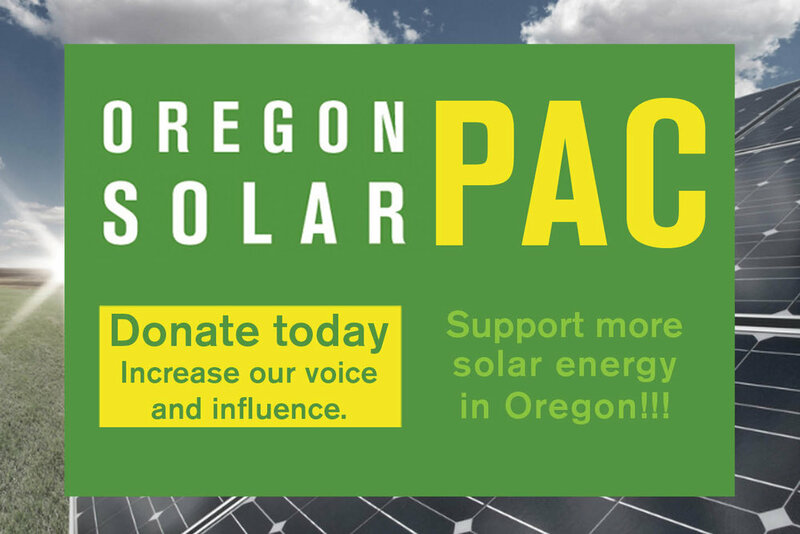 In 2015, the Oregon legislature passed a bill instructing the Oregon Public Utility Commission (PUC) to produce a report that evaluated various solar incentives. The PUC opened a docket (UM 1758) as the process to produce that report. A draft report came out late last week and, sadly, the draft reflects the process that produced it: poorly thought out with questionable conclusions. Because of this, the solar industry is pushing back hard. OSEIA released a statement about the process leading to the draft report, comparing it to “a student who procrastinated on a school assignment.” That statement can be found here. If you want to read the draft report itself, you can find it here. 1) The draft report characterizes the solar industry as “well-supported” and “relatively robust,” saying that the “relative maturity” of the industry should be recognized. But the draft report does not define what the PUC means by a “robust” industry. While it’s true the solar industry is growing and solar costs are coming down, it is also true that even small changes in the current support structure could lead to a significant contraction of the industry with a loss of employees and likely failure of some solar businesses. 2) The draft report often references the amount of solar capacity that has been installed in the state – approximately 80,000 kilowatts in the service territories of Portland General Electric, Pacific Power and Idaho Power. However, that is only 8 megawatts, a very small amount of the overall loads of the various utilities. That is not a thriving industry; that is still an emerging industry. 3) The draft report outlines 10 current programs and 3 programs that have yet to be implemented that would fall under the purview of the study requested by the legislature. But they note that they do not provide any recommendations on new or amended programs. The also do not analyze programs that are currently undergoing review by the legislature. They also provided no discussion on federal incentive programs. This left three items for the PUC to discuss: net metering, Energy Trust of Oregon solar incentives, and a general examination of state taxpayer incentives. That is not a very comprehensive report. The report’s value is further lessened when you realize that both net metering and Energy Trust incentives are inextricably linked to the Resource Value of Solar and the Residential Energy Tax Credit (RETC), two items they eliminated from their discussion because they are ongoing issues. “The world has changed significantly since the legislature asked for this report in 2015. We have an ongoing docket to establish a Resource Value of Solar methodology and that will provide the foundation of many aspects of solar policy in the future. That docket will be completed by the third quarter of 2017. Second, the Legislature drastically changed the policy landscape with the passage of SB 1547 in February 2016, removing coal from Oregon’s system and increasing the Renewable Energy Standard for Oregon’s two largest utilities. We need more time to determine how those policy changes will affect solar going forward. Lastly, the Residential Energy Tax Credit, the solar property tax exemption, the renewable energy development grant program and several other clean energy incentives are due to expire at the end of 2017. Unless we know the action that the Legislature will take on these programs and whether, or if, they will be extended, we cannot tell you how ratepayer incentives will be impacted and how the overall solar industry will react to any actions taken. While that may not be what the PUC’s report will finally say, OSEIA is working hard to change the current draft. If the PUC sends a final report to the Legislature that is similar in tone and content to the current draft, OSEIA will work to make sure legislators know how unhelpful the report will be to future discussions of solar policy. Stay tuned….we have a lot of work ahead of us!